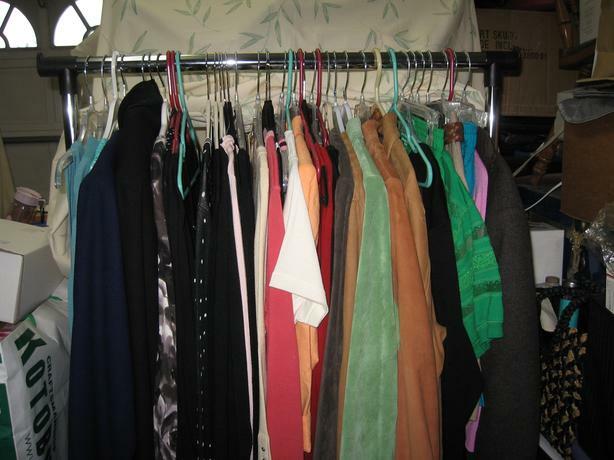 Career office clothes to casual, dress slacks, Jeans,lots & lots of tops, sweaters, dresses, jackets, Suits - mostly size 14, some size large, extra large & a few plus sizes - designers include Jones New York, Bianca Nygard, Anne Klein, Liz Claiborne, Talbots to name a few. More items being added as I downsize my closets. Shoes in size 7.5 and size 8 - heels in various colors. Lots of items are still new, some still with tags on - all items in great condition with minimal wear. Really Great prices as I am downsizing my closets. Have 4 racks of clothing plus bins of items. Email me and come and take a look - room to try on - private - lots to choose from. Evenings are fine just need a "heads up".